We are loving the edgy yet contemporary feel we get from this necklace. 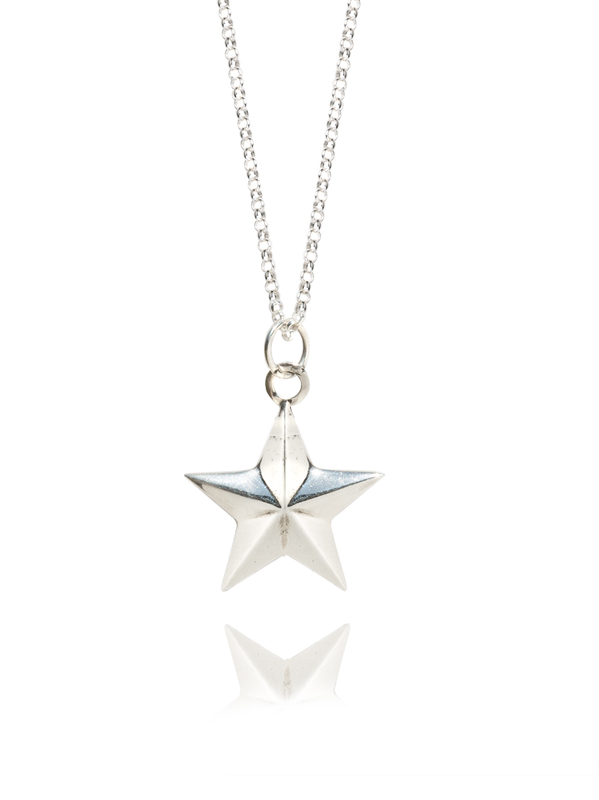 The sterling silver star measures 4cm in length and hangs on an 80cm thin solid sterling silver belcher chain measuring 0.2cm in width. The chain is long enough that it can be doubled up and worn short if desired.